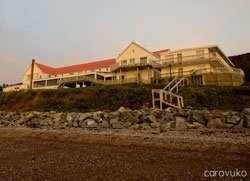 For close to a century, the quaint town of Percé has been renowned for its majestic scenery and its "pierced rock", the Rocher Percé. Visitors to the area leave with lasting memories of the unique landscapes. 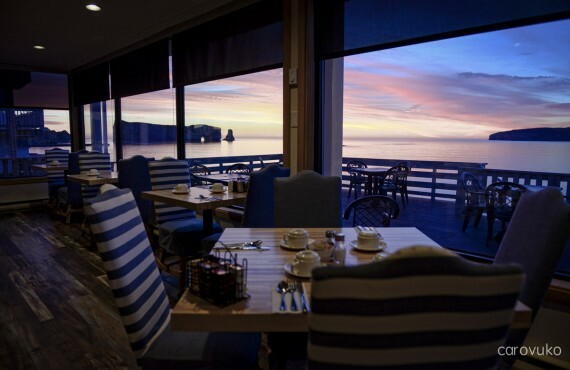 Located right on the water's edge, the Riotel Percé offers stunning views of the picturesque town and the Gulf of St. Lawrence. 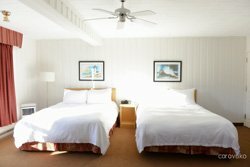 Whether you are on the terrace, in the outdoor hot tub, in the dining room or on your guestroom balcony, you can enjoy panoramic vistas that change throughout the day as the sun moves across the sky. 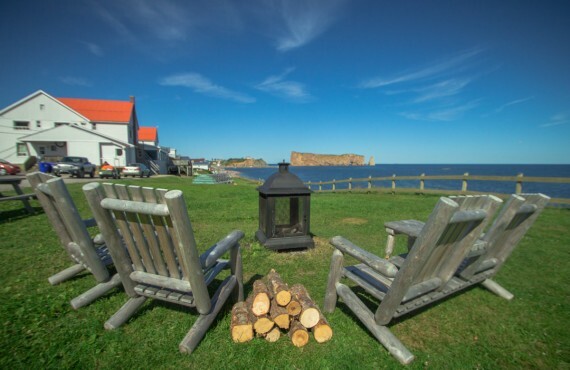 Your hotel is the perfect home base from which to explore the town of Percé with its docks and fishermen, many craft and souvenir shops, bistros and cafés, local culture and magnificent natural setting. 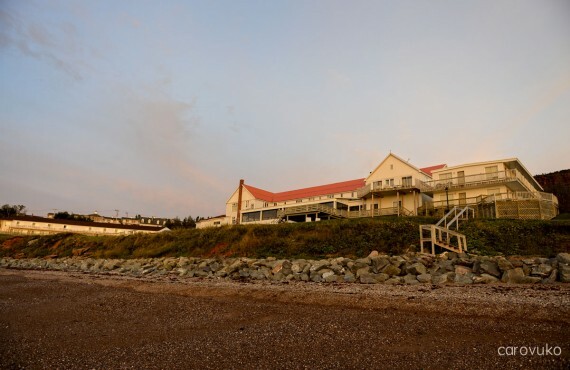 After a busy day of sightseeing, you can relax in the outdoor hot tub on the hotel's terrace and take in the spectacular views of Bonaventure Island and Rocher Percé. 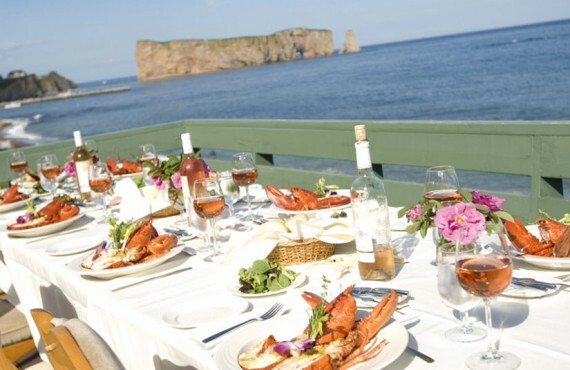 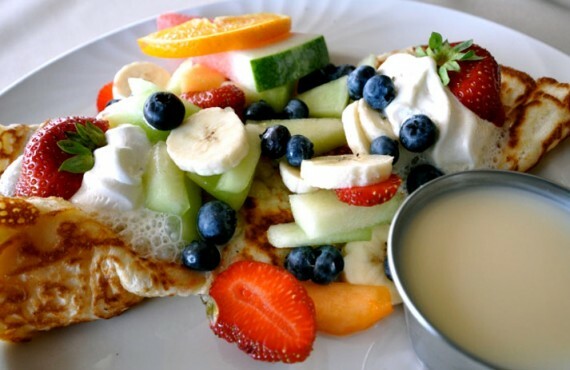 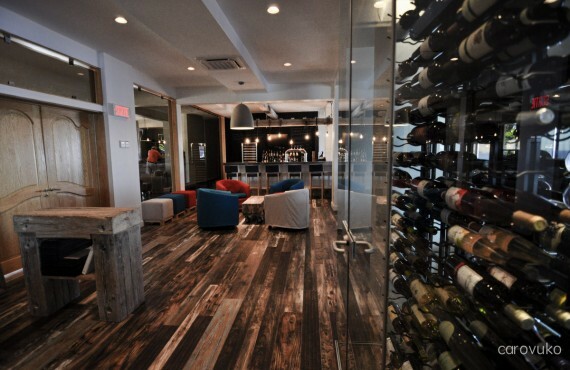 With its unbeatable views of Percé Bay, the PAQBO Restaurant offers a generous menu with something for everyone. 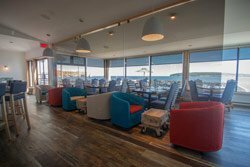 From fish and seafood specialties to excellent Angus AAA beef, you are sure to find something to satisfy your taste buds. 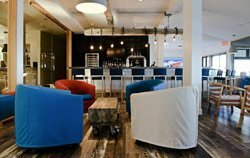 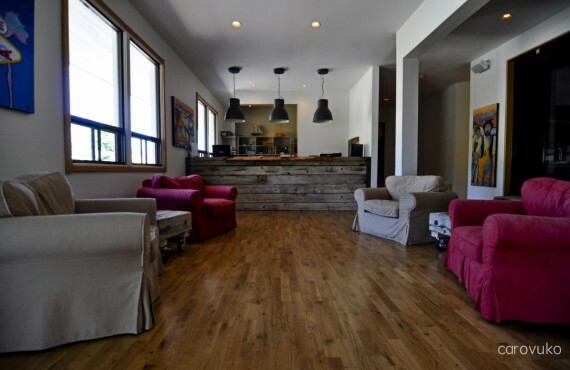 The restaurant also has a bar and a large sunny terrace, heated in cool weather, where you can enjoy a drink or a meal and breathe in the fresh sea air!